ince 1978 he has been practising law in Nicosia, where he founded his own firm in which he was the Head of the Litigation Department. After a number of years Pavlos Angelides founded P. Angelides & Co LLC where he is the Head of the Litigation Department. Pavlos has studied in the UK and has been a barrister since 1978 and a member of the Lincoln’s Inn. Pavlos has lectured on LLB level in Contract, Tort and Constitutional Law and has also taught Banking Law regulated by the British Institute of Bankers. He is one of the most experienced in litigation both in Cyprus and abroad. His specialty areas include Banking, Medical Negligence, Trade, Commercial, Corporate, Insurance, Administrative and Tort litigation. Pavlos Angelides has dealt with some of the largest insurance claims in Cyprus and has stood successfully and defended The Financial Times in the case of Tassos Papadopoulos v The Financial Times (Tassos Papadopoulos was the President of the Republic of Cyprus at the time). He is probably the only legal expert on the island in the legal side of Banking and Finance matters. 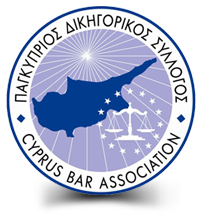 He has been the Vice President of the Nicosia Bar Association and the Secretary of the Cyprus Bar Association over a number of years. Pavlos Angelides has been the Vice President of the National Betting Authority. Pavlos Angelides is also a member of the Board of Cyprus Import Corporation Limited, agent of Mercedes Benz and Daimler AG in Cyprus.